Nine-year-old Vittal, and his five-year-old younger brother Nanda, went out with their father on Saturday. They did not return. The police suspect that their father A.R. 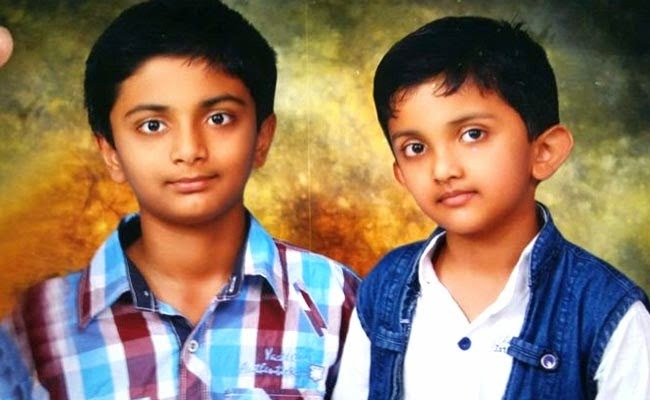 Guruprasad, an assistant professor, killed the two young boys before committing suicide. Guruprasad and the boys’ mother Suhasini had divorced in 2013 and the father had weekly visiting rights. On Saturday morning, the 44-year-old picked up Vittal, a class four student and Nanda, who was in upper kindergarten, from their home. When they did not return by evening, Suhasini called on Gurumurthy’s cell phone to ask when he would bring the boys back home. The phone was answered by the police, who informed Suhasini that Gurumurthy had been run over by a train in James street. They said they suspected suicide. But they had no news about the boys. The police said a suicide note they found later at Gurumurthy’s home in Alwal too had no mention of the boys; the note said he was killing himself because of the divorce. But on Gurumurthy’s phone, the police said, they found an unsent SMS that said he had murdered the boys and buried them on a plot of land he owned in Medchal. The assistant professor was found dead on the rail tracks, his cellphone by his side. Hours before he died, the police said, he had visited Suhasini again, without the boys, and asked her to get back with him. She reportedly refused. The police found the bodies of the two children on Monday afternoon, buried in Medchal. They suspect they were either poisoned or killed with a knife. The bodies have been sent for a postmortem.